We happily declare that our students and teachers come from all over the world! Look closely at the lovely picture to the left. 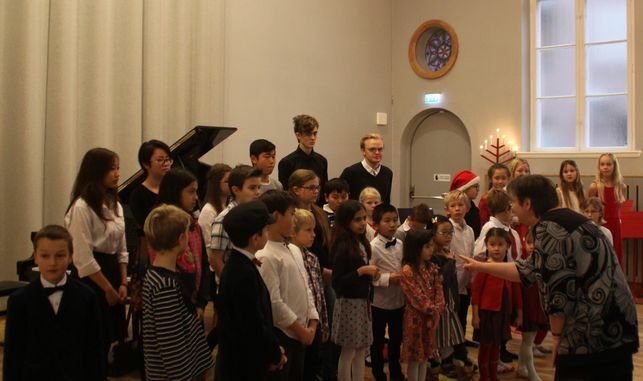 Music is an international language and LIMUS mirrors the modern multicultural Sweden. Line 1: Music Kindergarten: provides courses in English and German. French and Mandarin on demand. Please find the schedule here. Line 2, 3, 4b and 5: All our individual lessons are available in Swedish and English. Are you looking for a course in a special language, please contact us! 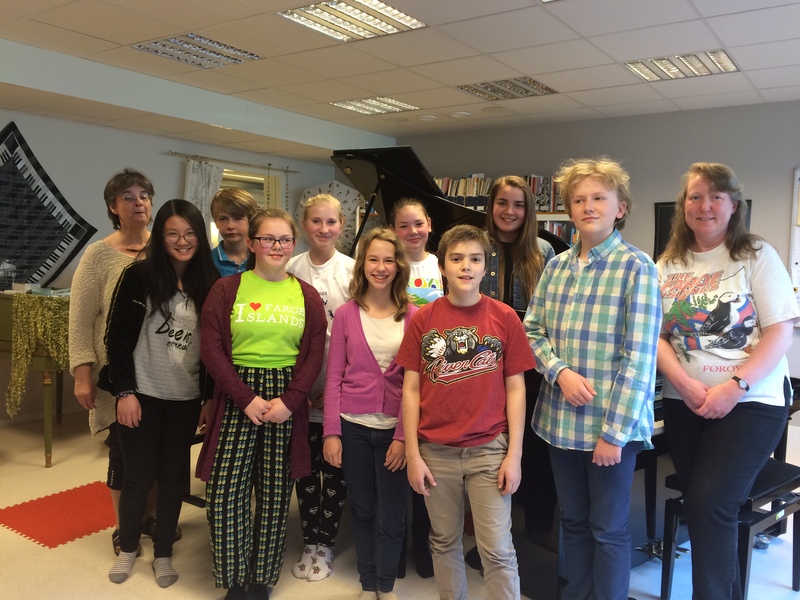 LIMUS’ international staff are familiar with the Grades system (ABRSM). This makes it easy to pick up and move on with students used to the ABRSM. Students can continue their curriculum here without any problems. At the same time, introducing new students to the curriculum makes it easy for them to continue abroad. Line 4a: On demand, LIMUS arranges courses in music theory in English. We use the ABRSM curriculum for music theory on different levels. There is always the option to finish a course with an international certification. 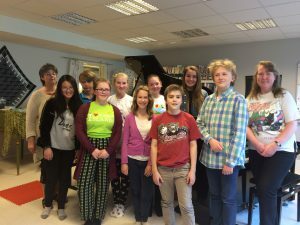 Sometimes, our students meet guests from abroad, for example 2015, when we had a fun time with pupils from Färöarna, the real north of Scandinavia. Making music together expands the horizon for everybody!